Custom Made by Carrocel Modern Art Deco Inspired coffee cocktail table and end table set 2 piece. 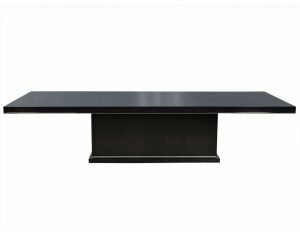 Finished in a hand polished black lacquer with a solid brass top insert trim detail and accent legs with a black back painted glass top inset inside the brass trim. 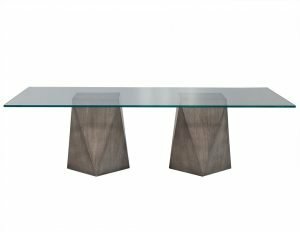 The end table floats over the coffee table for serving.